Things are about to get turned upside down at Universal Studios – as the infamous park is set to launch Halloween Horror Nights. We’ve got the first look reveal of the “Stranger Things” maze key art designed exclusively by Kyle Lambert, the official illustrator of the mega-hit Netflix original series. 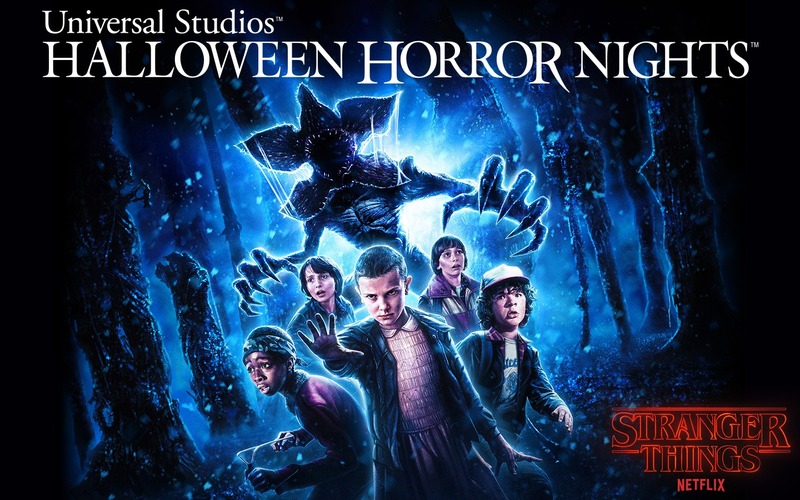 Featuring the cast standing adjacent to the predatory Demogorgon, the ominous image depicts a nearly palpable account of what guests can expect to experience when the Stranger Things maze debuts as part of Halloween Horror Nights this Autumn. Universal Studios Hollywood and Universal Orlando Resort, from Friday, September 14. The new night will later launch at Universal Studios Singapore, from September 27th. 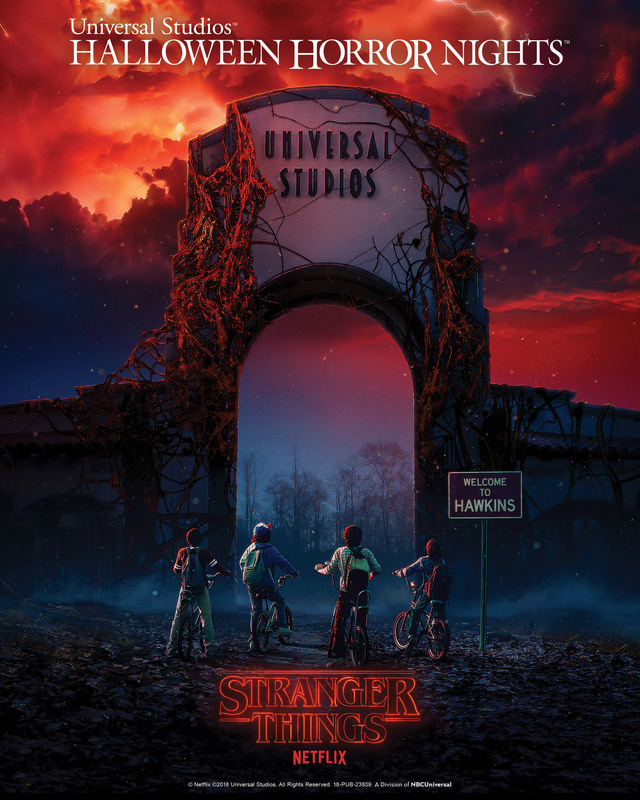 The parallel universe referred to as the Upside Down will bring the chittering, predatory Demogorgon to “Halloween Horror Nights” to stalk unwitting guests as they encounter iconic scenes, characters and environments from the hit series. representations of “Stranger Things,” designed to transport guests into artfully recreated scenes and storylines.